n Acne medication lotion. For the treatment of acne. 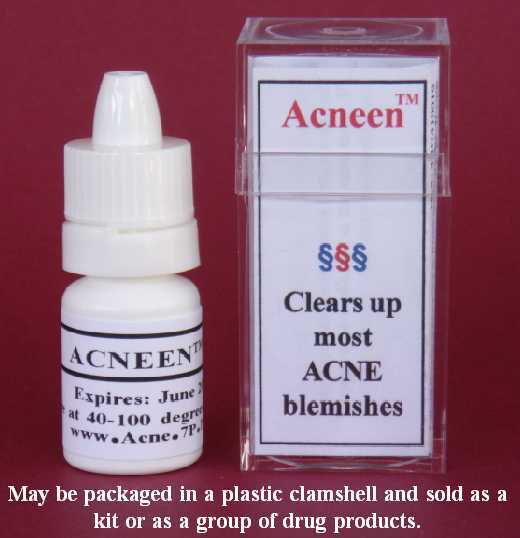 Clears up most acne blemishes and allows skin to heal. n When using this product, skin irritation and dryness is more likely to occur if you use another topical acne medication at the same time. If irritation occurs, only use one topical acne medication at a time. n If symptoms last for more than 7 days or clear up and recur within a few days. n If the conditions do not improve. n Before use on children under 2 years. n Before use if you are allergic to any ingredients listed on this label. n Clean the skin thoroughly before applying this product. n Apply product sparingly to one or two small affected areas during the first 3 days. If no discomfort occurs, follow the directions stated below. n Each morning, cover the entire affected area with a thin layer of this product. n Apply this product by rubbing it in. If any liquid remains on the skin (after a 20-second rub-in), you have applied too much product. Store at 40 to 100 degrees F. Net contents: 3 mL. This product contains no alcohol; no animal products. Water, dimethyl sulfoxide, dipropylene glycol, ascorbic acid, sorbic acid, magnesium stearate, stearic acid. If symptoms last for more than 7 days or clear up and recur within a few days. If the conditions do not improve. Store at 40 to 120 degrees F.
n Each morning, cover the entire affected area with a thin layer of this product (ACNE22).